It's been really hot in my hometown lately, so I've been craving Snowflake a lot. Finally! I'm going to share a new love of mine. My family and I recently discovered this Asian food plaza near a movie theater plaza that we've been going to for years now. 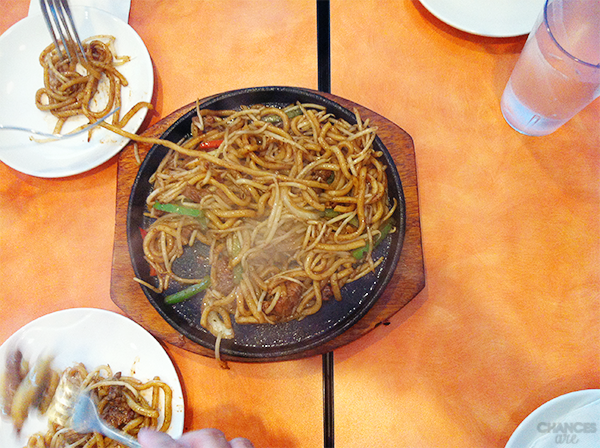 I can't believe we never knew this Asian plaza existed! 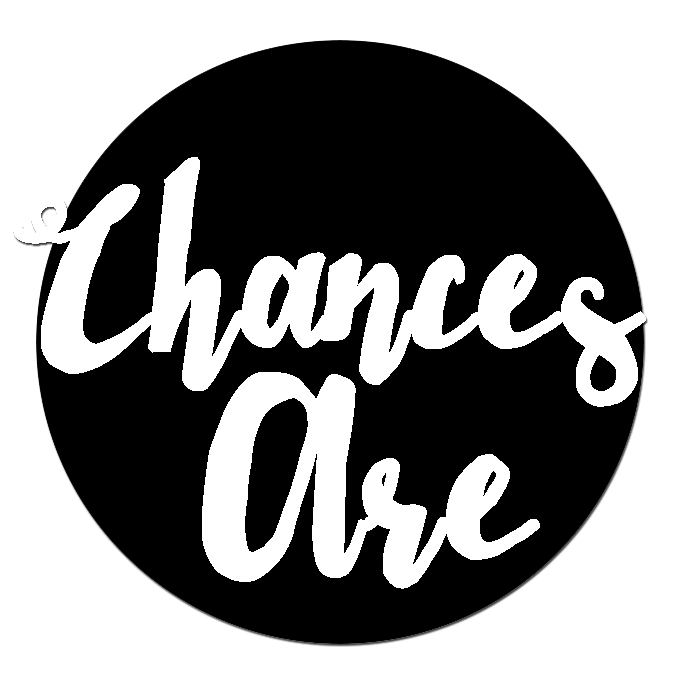 It's chock-full of Asian cuisine restaurants, and our goal is to eventually try each restaurant there. 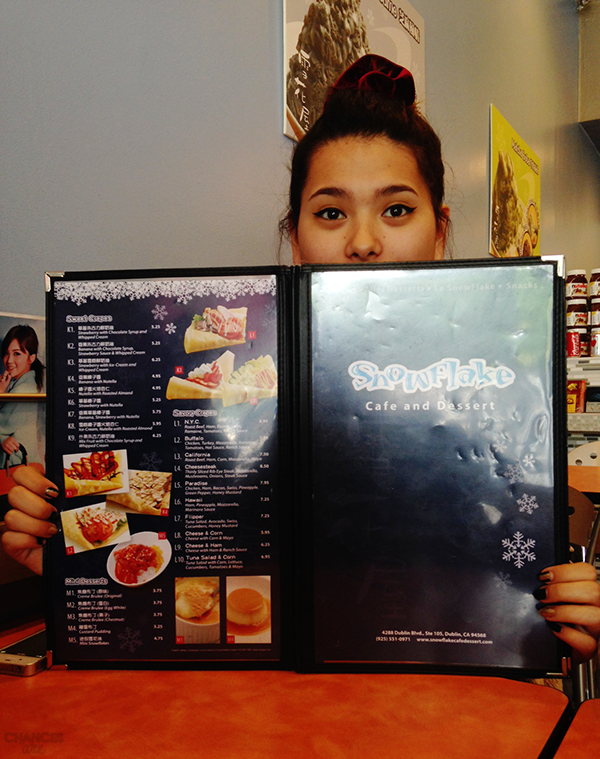 Snowflake is our first restaurant off the checklist. The service is fast, and the food is cheap, but soooo good. 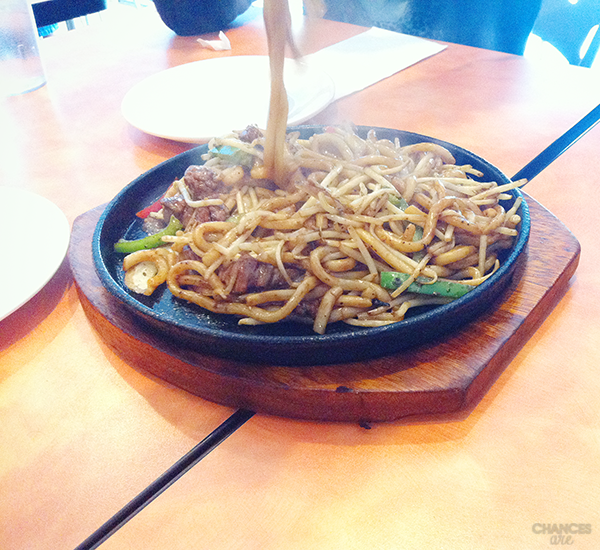 We ordered the Fried Beef Udon with Black Pepper (that's the noodle plate pictured above!). 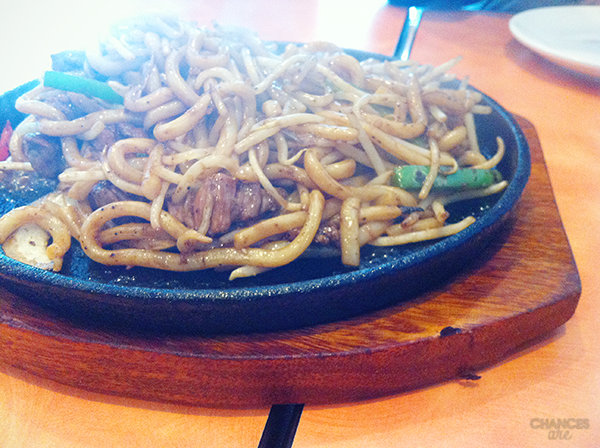 It's served on a sizzling plate, and it was the perfect amount of spiciness. For me, that's important because I don't enjoy food when it's extremely spicy. 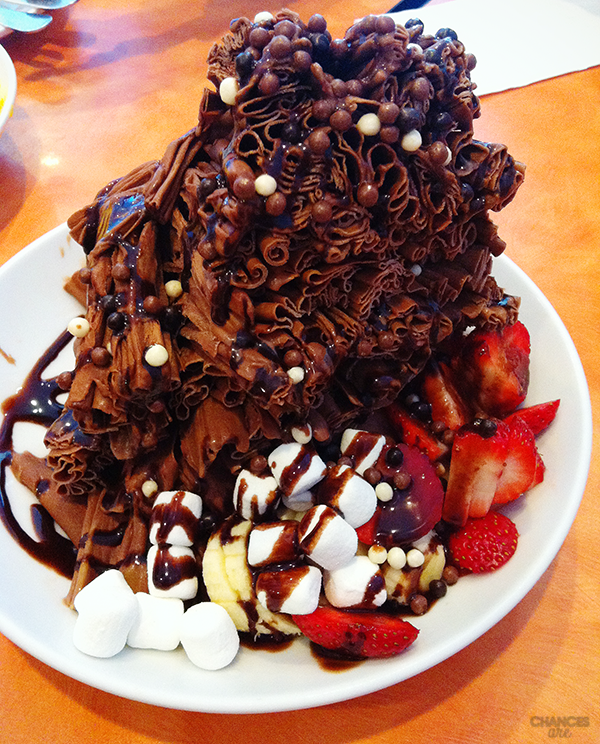 But Snowflake, hence its name, really shines with their their shaved ice desserts AKA "snow." I've tried various shaved ice treats before, both American and Asian styles, but never have I tried something like this. As you can see from the pictures, their ice is very unique. 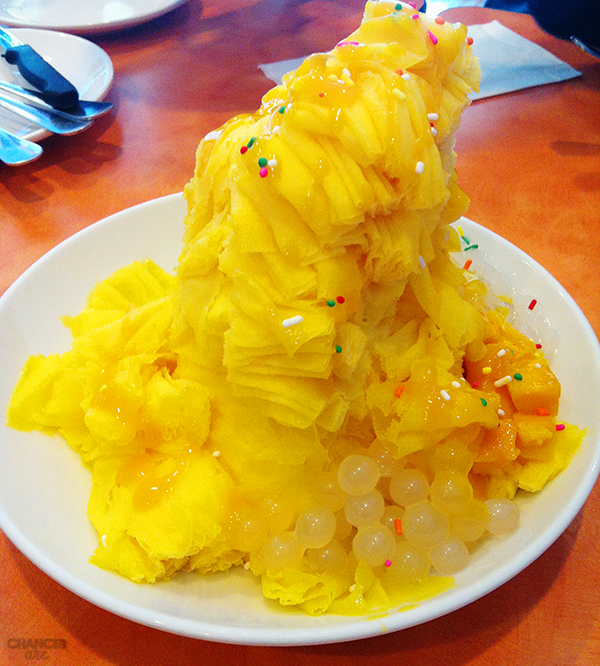 It's not a typical shaved ice dessert where flavored syrups are poured over regular ice. Their flavors are already embedded into the ice which makes their dessert so flavorful. Every bite is like eating a spoonful of gelato: it's so rich and creamy. Their presentation is also pretty, and it makes the dessert that much better. 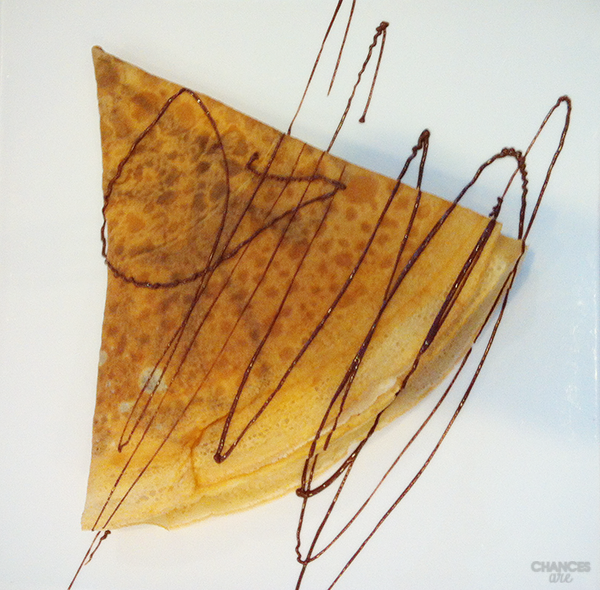 They also serve crepes and other desserts. Check out their menu here. Final verdict: It's definitely worth a try!